EXTREMELY FINE GEM. A TRULY EXCEPTIONAL MINT NEVER-HINGED EXAMPLE OF THE $5.00 1895 WATERMARKED BUREAU ISSUE. 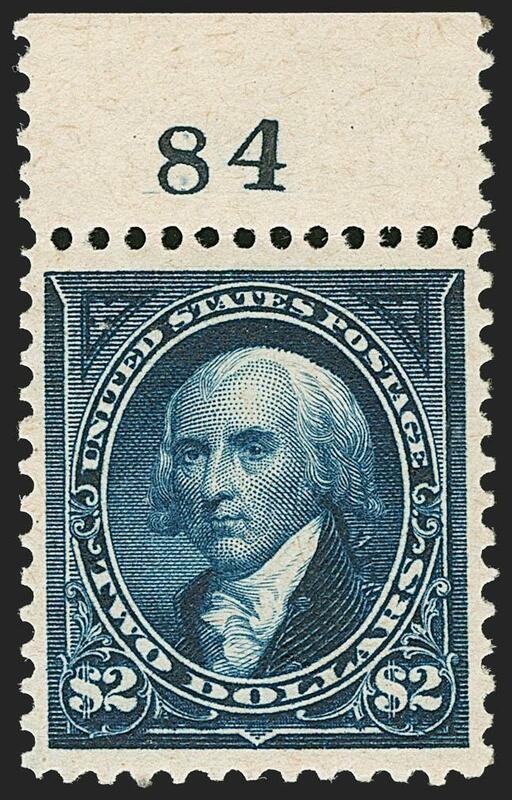 THIS STAMP STANDS ALONE AS THE HIGHEST GRADED $5.00 1894-95 BUREAU ISSUE, WITH THE P.S.E. GRADE OF SUPERB 98 JUMBO. 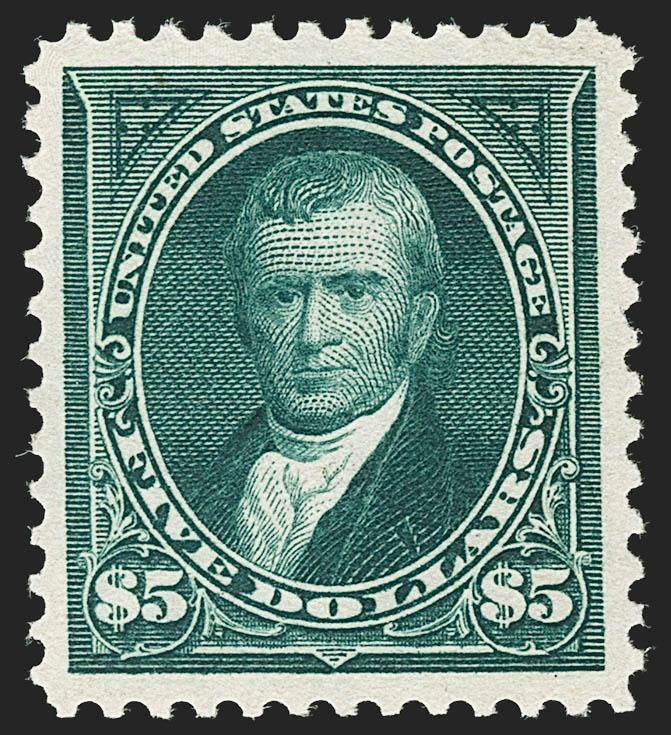 This Superb 98 Jumbo $5.00 1895 Issue is truly at the pinnacle of early Bureau issue stamps. 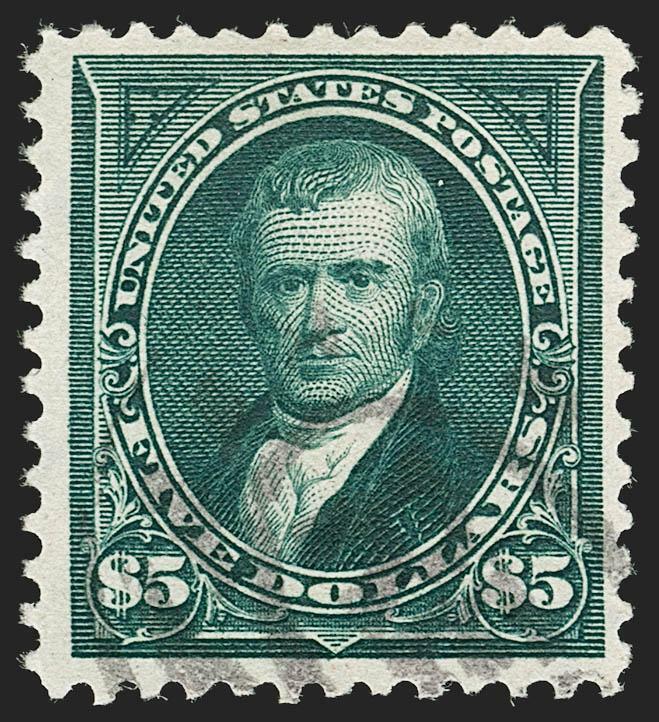 The $5.00 1895 Issue is an exceedingly rare stamp in sound, well-centered Mint N.H. condition. 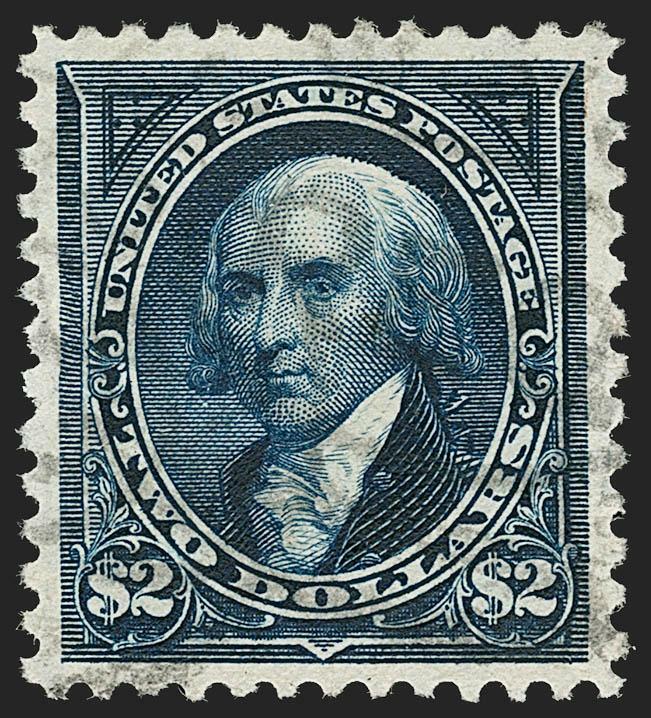 This stamp is the highest graded Mint N.H. example, with margin size exceeding the ex-Whitman Superb 98 (Sale 968A, lot 337, realized $65,000 hammer). 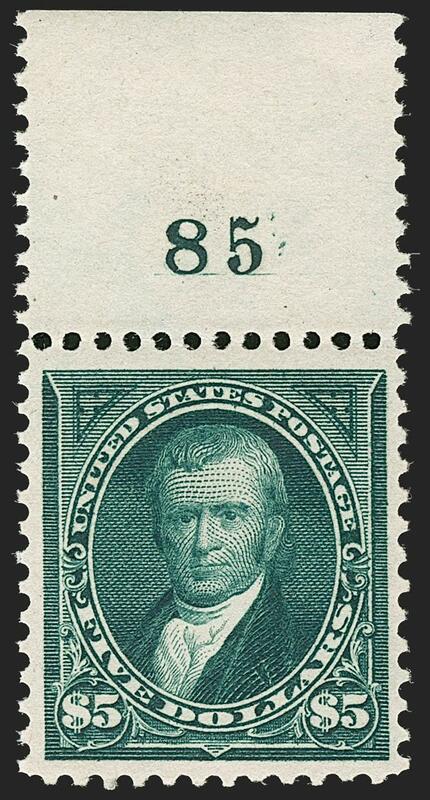 In surveying the dollar-value 1894-95 Bureau Issues, only the $1.00 Scott 261 has a Mint N.H. stamp in the P.S.E. Population Report with a grade exceeding 98J (a single example at 100). Among the other dollar values (Scott 261A, 262-263, 276-276A and 277) there is not even a single Mint N.H. example graded 98, much less the 98J grade of the $5.00 offered here. 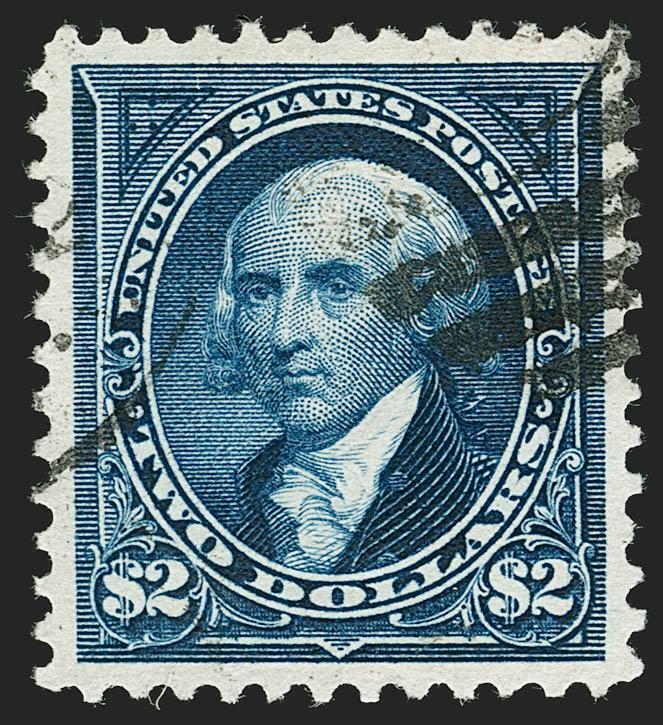 For Scott 278, only one Mint N.H. stamp has been graded 98, the aforementioned Whitman copy. Below the 98s, the next Mint N.H. grade drops down to 85. 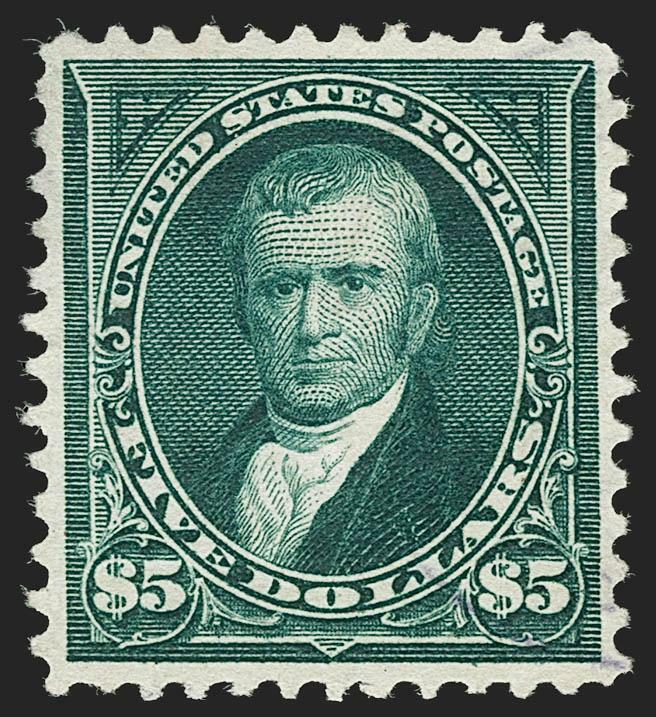 EXTREMELY FINE EXAMPLE OF THE 1895 $5.00 WATERMARKED BUREAU ISSUE, WITH TOP PLATE NUMBER SELVAGE.